Understand Your Code Better: Figure 1: Evaluate Your App's Health. Understanding the complexity of a large application can be daunting. 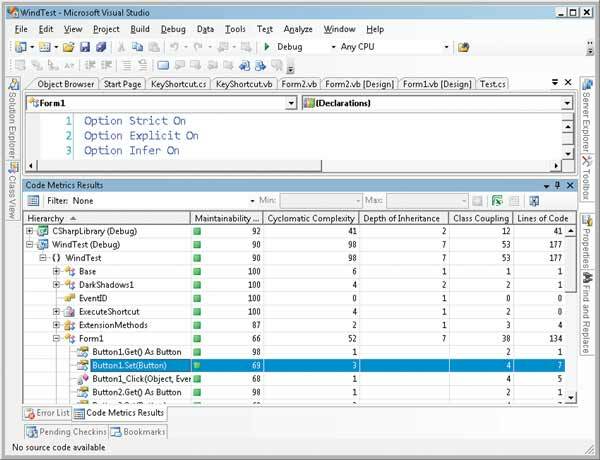 Visual Studio Team System provides a set of metrics to get you started. These metrics are imperfect, and reflect code level, not architectural-level complexity, but they're valuable as one measure of your application's health. Be careful when comparing these numbers to those generated from other sources as the algorithms for evaluation can differ.